Rent Sofitel Washington DC | Corporate Events | Wedding Locations, Event Spaces and Party Venues. Romace awaits you at our historic, downtown Washington DC Location, just steps from teh White House. Plan an unforgettable celebration with sophisticated cuisine, a distinctive setting and flawless service. Designed by internationally renowned Pierre-Yves Rochon, Sofitel Lafayette Square captivates guests with its grand Art Deco style. Its elegant ballroom, with an eye-catching trompe l'oeil mural of Parisian monuments, can be expanded to host banquets of 130. Its five meeting rooms accommodate a variety of group sizes. All of the rooms feature decor that continues the hotel's 1920s motif, and all offer the very latest in meeting technology, from soundproofing to central remote controlled lighting. Flower decoration, photography, stage design and more can be handled on-site. Enjoy the best of everything in DC at our downtown hotel situated at the corner of Lafayette Square bordering the White House. Savor a contemporary twist on traditional French cuisine at ICI Urban Bistro or relax in our chic lounge Le Bar.Select from 237 rooms on 12 floors including 16 suites and one presidential suite all featuring Sofitels luxurious feathertop and duvet sleep system - SoBed. 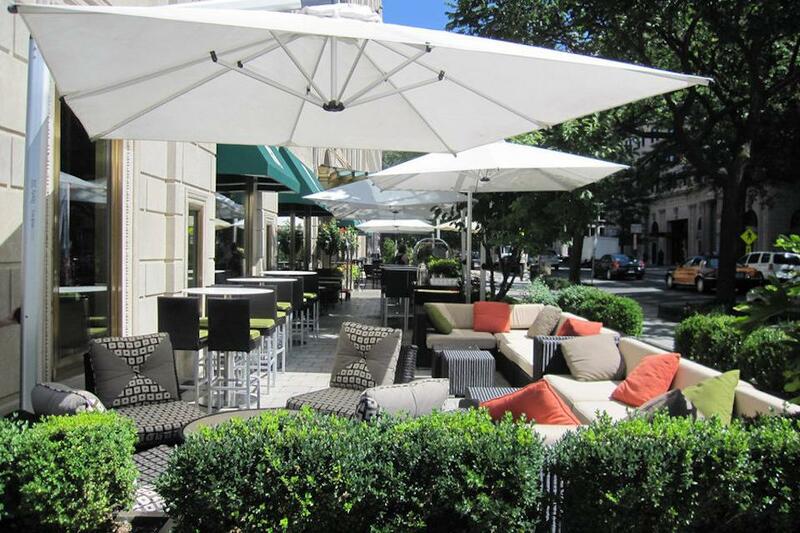 Sofitel Washington DC Lafayette Square offers exclusive luxury accommodations in the nations capital. Discover Sofitels art de vivre within our elegant hotel marked by distinctive style superb cuisine and incomparable service.